We will be celebrating National Poetry Day on October 2nd 2014. It is the nation’s biggest celebration of poetry. This year’s theme is Remember. This has clear links with the history curriculum. Each class in KS2 will be sharing some poems about the war during the day. It would be nice to share some of your favourite poems at home. This poem was written especially for National Poetry Day 2014. There are plenty of other poems available on the Forward Arts Foundation website. Please see the link below. Please see the link below for the ‘KS1 Phonics Workshop’ presentation and booklet. As you will have heard in Wednesday’s assembly, on Friday it will be European Day of Languages. A day when we are all celebrating the many different languages spoken in Europe and the world in general. We hope you are finding a bit of time to discover some of those languages yourself. Just follow the links below and enjoy your discoveries! Please see below for the parent workshop slides. Resource booklets were provided for those who informed us that they would be attending the meeting today. Unfortunately, some people took additional copies which resulted in some parents not receiving a pack. We ask that you do not take further copies for friends who are unable to attend. If you require a further copy of the resources then please ask Miss Connell or Mrs Townsend who will provide one for you in due course. 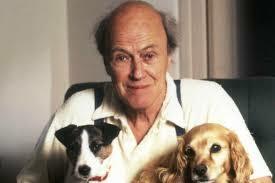 On September 13th 2014 it is Roald Dahl Day. The children will be learning more about Roald Dahl in assembly this week. This year Roald Dahl day falls on a Saturday so if you would like to do some activities at home then please see the link below for more information. There are plenty of activities to try! It is also the 50th anniversary of ‘Charlie and the Chocolate Factory’. For further details of missing chapters and characters that were not included in the final draft click on the link below. At school we will be celebrating Roald Dahl day from Friday 12th to Monday 15th September. After the great success of previous parent workshops we are once again running a Parent Workshop on English and Mathematics in KS1 and KS2. The aim of the workshop is to provide you with a greater understanding of how English and Mathematics is taught in school, and how you can support your child’s learning at home. This session will be interactive providing you with an opportunity to answer some of the questions the children have to. Within the mathematics session, we will look at the different methods used for addition, subtraction, multiplication and division, and how these progress over the years, the role of problem solving and mental mathematics. You will also be able to have a look at the different types of questions the children are asked to complete and practice answering them. We will also look at some online applications to assist your child. Letters about the workshops have been sent home this week. Please ensure that you return the reply slip by 10th September, indicating which workshop you would like to attend and any areas you would like to discuss.